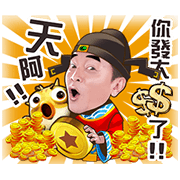 http://www.line-stickers.com/ – LINE Fish Hunter 3D – Jacky Wu Edition Line Sticker | Straight from the sea, here comes an animated sticker set from LINE Fish Hunter 3D! 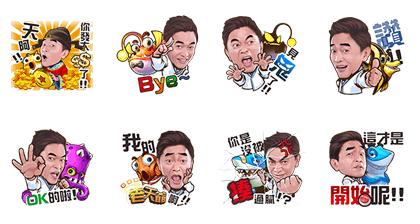 Use these stickers to chat with your friends and then enjoy fun fish hunting with LINE Fish Hunter 3D! Friend LINE Fish Hunter 3D’s official account to get the set for free. Available till March 1, 2017.